Indian Union Muslim League (IUML) leader in the Lok Sabha PK Kunjalikutty alleged there were many "lacunae" and "contradictions" in the bill passed by the Lower House last week. KOCHI: Alleging "illegality" in provisions of the bill that criminalises instant triple talaq, an IUML leader today said Muslim bodies would challenge it in the Supreme Court if the Rajya Sabha also passes it. "We will challenge it in the Supreme Court. We will move the apex court if the Rajya Sabha also passes the bill. The IUML will be a party to it," Kunhalikutty told PTI. Hitting out at the BJP government, he alleged the ruling party's move to "criminalize a family problem is completely politically motivated". "It is a bid (by the Centre) to interfere in the personal law," the IUML leader said. Alleging there were lacunae in the bill, he said it does not answer many fundamental questions, including protection of the wife and children if the husband goes to jail for uttering "talaq" three times. The Lok Sabha had passed the Muslim Women (Protection of Rights on Marriage) Bill last week by a voice vote after rejecting a string of amendments moved by opposition members. Given the Congress's stated support, the bill is likely to be passed by the Rajya Sabha, where the government lacks a majority. 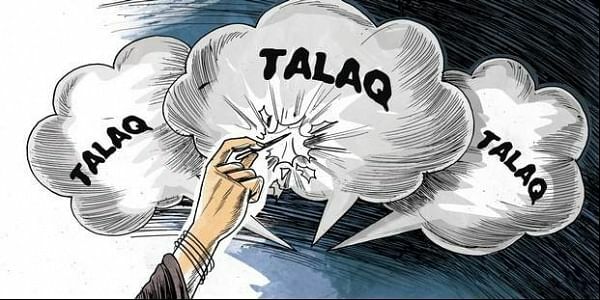 The Supreme Court had outlawed instant triple talaq in August and asked the government to frame a law within six months. Ending the controversial divorce practice was one of the ruling BJP's electoral promises.